Classic chicken salad is immensely satisfying. This simple recipe uses the shredded breasts and thighs of a purchased rotisserie chicken, which should yield the right amount for this recipe. Make sure to taste the chicken salad and see if it needs more salt and pepper. You could also add halved grapes to this for a bit of sweetness and texture. You can serve this in a sandwich, or piled on top of a salad. The chicken salad will keep in the fridge for up to 4 days. If you don’t have Vidalia or other sweet onions, you can use regular red or yellow onions, though you might want to reduce the amount to 1/3 cup. In a large bowl combine the mayonnaise, vinegar, sage, salt and pepper. 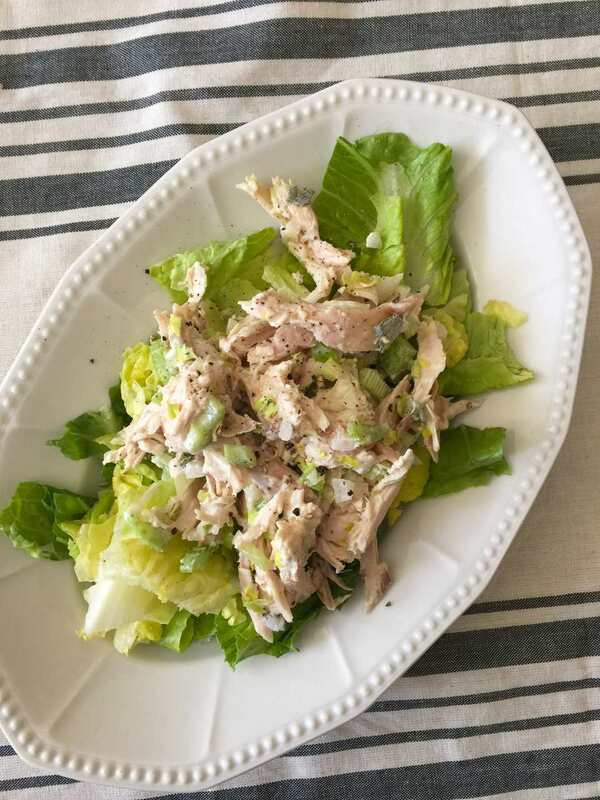 Stir in the celery, onions and chicken until the chicken salad is well combined. Serve chilled.